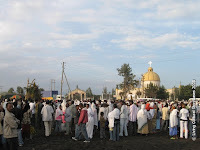 Darout saw off Nicolas at Arba Minch for his long journey back North to Addis Ababa. 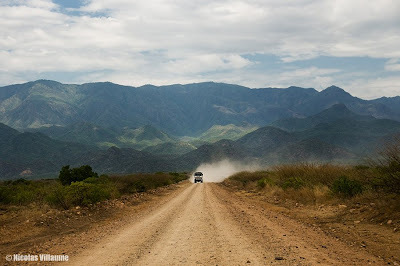 Meanwhile Paul was already back in the capital, where the Mesqala holiday was starting in earnest. 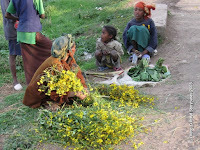 Along the road, women were selling bunches of the yellow flowers used to decorate everyone's homes during the festival. Large bonfires, topped with crosses had been built in numerous town squares and in the city centre, now packed with crowds. 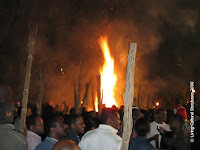 On his last night, he was able to participate in one rally in the park near his hotel, listening to modern live music bands and watching the people who had brought their own bundles of branches as prayer offerings to throw on the bonfire. 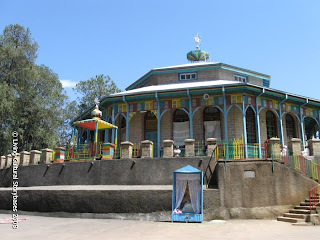 Before catching his plane, he also made a short trip up the Entoto mountains near the city to see the Maryam church which hosted Emperor Menelijk's coronation in 1882 and the nearby museum on that period of Ethiopia's fascinating history.